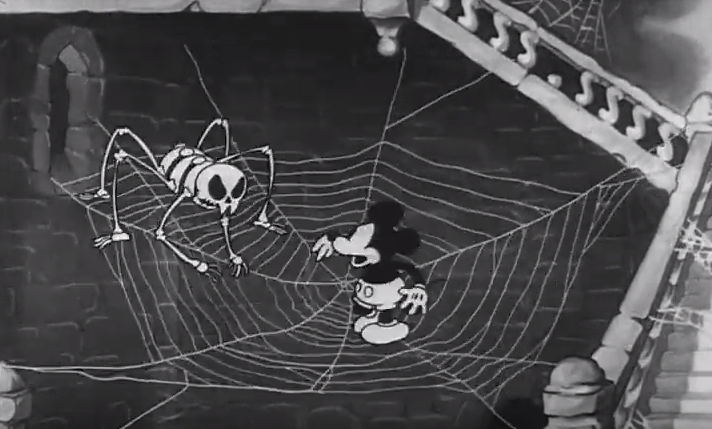 The image of a spider made entirely from bones has been around longer than you probably think, including a brief appearance here in Disney's 1933 Mickey Mouse short, The Mad Doctor, and it seems common for people to assume that this example was done out of sheer ignorance, but I think it's more likely that nobody involved really cared if a spider had bones or not. It's a cartoon. 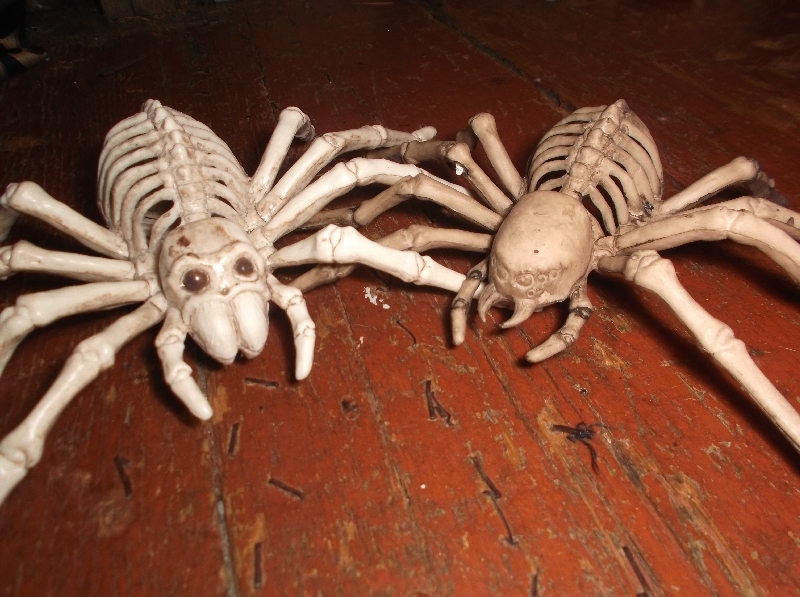 For most of my life, skeleton spiders remained fairly rare, bug when they did show up, they followed the same logic of a human skeleton in the shape of a spider, sometimes less frequently with spindly, spider-like legs instead of multiple bony arms. 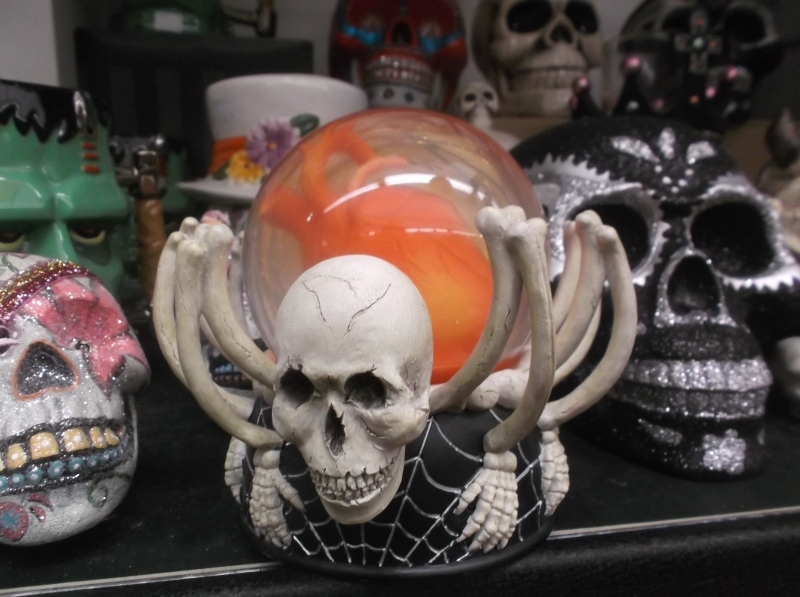 Surprisingly, skeletons modeled more directly after spiders were almost nonexistent among Halloween merchandise until as recently as 2014, with the arrival of the Crazy Bonez product line and various imitations in various sizes. Every so often, I still see complaints about the "scientific inaccuracy" or "biology fail" these represent, but again, that's completely beside the point. 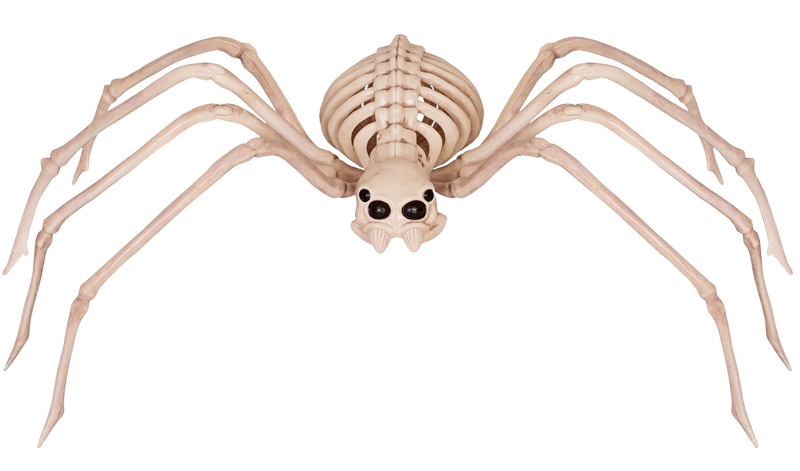 No adult tasked with designing a spider skeleton in the age of google apps is going to complete that task under an impression that spider skeletons exist. 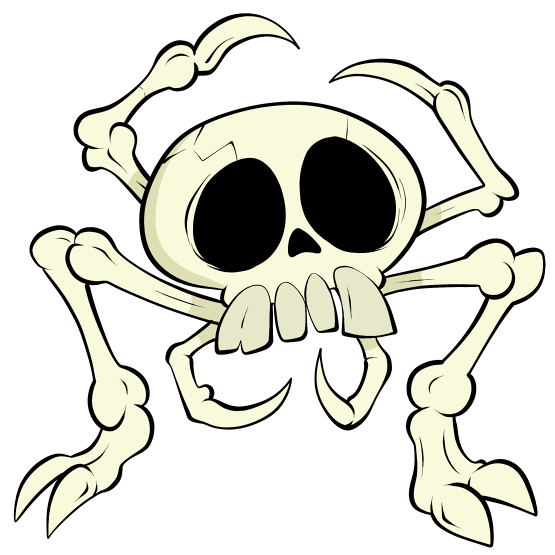 No, skeleton spiders are clearly a category of monster, and we could spend all day trying to come up with a more radical name for them like taranskullas or skelicerates or we can just call them skliders because that's the kind of name that would have stuck over the years if they had always been more recognized. I like to keep the names of these entries as simple and obvious for sheer authenticity's sake, you know? 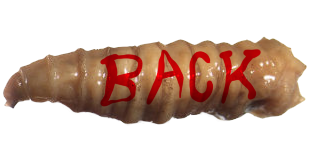 Something that wouldn't be copyrighted, but would catch on by necessity. I've sure talked a lot about these things without actually getting into the monster lore yet. Sorry about that. Maybe it's because the lore, too, is just plain obvious. 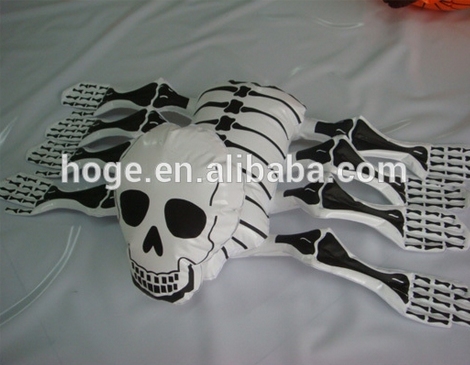 Skliders, along with the closely related skelpions, skelepedes, sklobsters and any number of skelesects, are quite simply arthropod ghosts that have possessed vertebrate bones, distorting them into a new body they're more comfortable with. 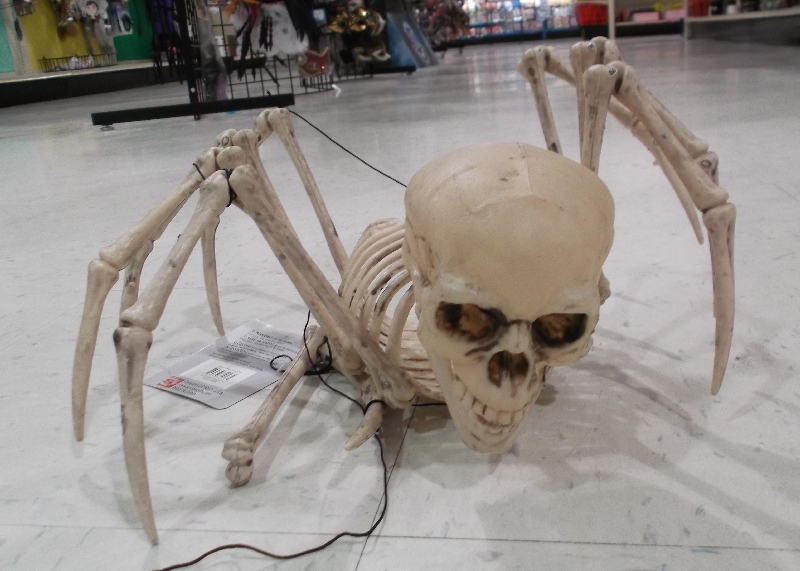 Sometimes it's even an entire human skeleton with a couple of extra limbs, sometimes it's a skull with finger bones for legs, and sometimes the raw bone is physically reformed into the shape of the original creature down to its chelicerae and pedipalps. Whatever the shape, these bony bug ghosts behave much like they did in life, even "eating" other creatures for sustenance they don't technically need...though perhaps they can absorb and repurpose even more bone as they feed, growing far larger than they ever could in life. As bodiless spirits possessing a new body, these beings "logically" shouldn't produce spider venom, nor should they have any silk glands, but we are dealing with the supernatural here. 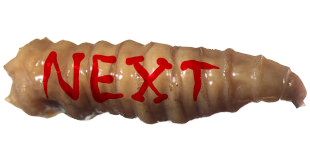 It's probable that skliders at least produce a ghostly new semblance of venom, perhaps something that deteriorates everything except the bone they crave to expand their mass, possibly fast enough to be that nasty, cartoonishly fast-acting acid spit you get in so many cartoons and horror games. 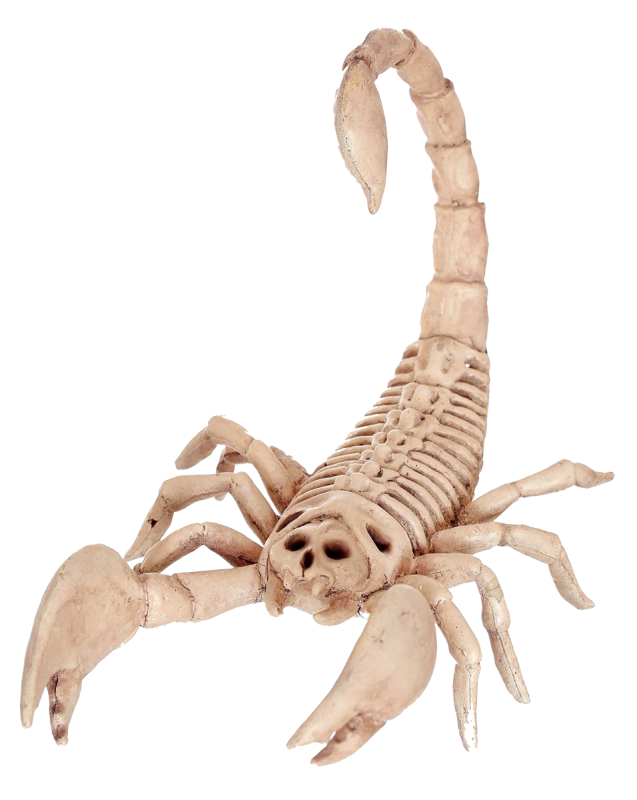 If you still can't rationalize a spider's ghost producing venom, however, we can always say that a skeleton constantly chewing on flesh probably develops an incredibly septic bite by default. On a final note, I like to think skliders wouldn't be limited to the same mentality and behavior as their original bodies. 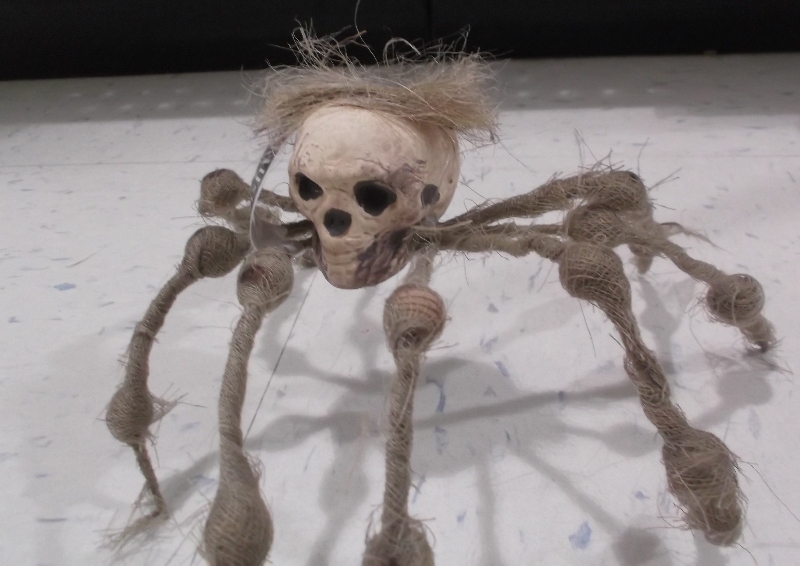 Being ageless ghosts, their learning capacity and memory spans may be completely limitless, and old enough bone spiders may range from human-like sapience to some terribly vast, incomprehensibly alien consciousness.